Our Free Active Shooter Preparedness Assessment is a tool designed to help organizations evaluate their preparedness for an Active Shooter event. The frequency of active shooter and violent intruder events is increasing so all organizations need to be able to evaluate their level of preparation for such events, train their teams how to respond in such event, and prepare to mitigate the risk of an event. This free assessment will help you identify strengths and weaknesses within your organization. 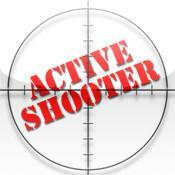 Evaluate your Active Shooter Risk Mitigation Plan now by taking our assessment.